Dr. John Nardo, a former director of the psychiatry residency at Emory University, recently wrote the following letter to Adriane Fugh-Berman (founder of the website PharmedOut.org) concerning Dr. Charles Nemeroff. With Dr. Nardo's permission, I am publishing the letter in order to contribute to the ongoing debate about Nemeroff and particularly about his controversial recent appointment as the chair of the University of Miami's Department of Psychiatry. I am a retired Psychiatrist/Psychoanalyst in Georgia. After my Psychiatry residency at Emory [1974-1977], I stayed on the faculty while pursuing Psychoanalytic Training, and within a year found myself directing the Psychiatric Residency [for the next 8 years]. It was a hard time in Psychiatric Education. State, Federal, Private Hospitals, and Institutional support was evaporating as the "Community Mental Health" movement waned and Managed Care began its rise. When our aging Chairman retired, our new Chairman came full of zeal for drug research. After a year, I read the tea leaves, gave up my tenure, and moved to private practice - a dinosaur early in my career. I stayed on the faculty but mostly taught in the Community and in our Psychoanalytic Institute [in the Department of Psychiatry]. It was a fine career, even if it wasn't the one I planned. The new Chairman was moving up, and so soon after I left, he moved to Administration. He replaced himself with the infamous Dr. Charley Nemeroff, which is why I'm writing. Meeting Dr. Nemeroff made me feel a lot better about changing gears. He seems, as you might imagine, a charlatan - very smart but always working a deal. He brought in Pharm money, so the residency was revitalized. That made Emory happy. He spent most of his time on the road, doing his CME thing, his political thing, whatever. I had another life, but watched my friends who had stayed roll their eyes. I will admit to some gleeful feelings when he was finally exposed and deposed in 2008. The rest of the world just found out what many in Atlanta had always thought. I must say that I was dumbstruck when he was hired as Chairmen at Miami and I began to follow things more closely. Retirement allows such things. I was surprised how much feeling it all brought back. I was not an anti-biologist way back when. I had come to Psychiatry from a career in a research oriented academic internal medicine specialty. It wasn't Charley's orientation that bothered me, it was that I thought his research was at best trivial. It took me a while to figure out that it was his Pharm connections that lead to his success - that and his political connections [like the recent business with Dr. Insel at the NIMH]. Knowing my interest in all of this, last week my friends filled my email box with reports of the brochure for the GPPA [Georgia Psychiatric Physicians Association] Summer CME Meeting in August. There he was, the featured speaker. So in spite of Dr. Goldschmidt's [Dean at Miami] reassurances, Charley is doing CME with this topic, "Management of Bipolar Disorder: Problems and Promises" - the operative word being "Promises." "Charlie committed to me that he would never make these mistakes again, and I am scrutinizing his activities to make sure that that remains the case," he said [Dr. Goldschmidt]. "As far as I can tell, Charlie does not engage in that type of behavior anymore, and I can tell you that if he was, I would know it." There are no COI disclosures on the GPPA web site or in the brochure for the Conference Funding or for Charley, nor on the web site set up for COI by the University of Miami. I wrote asking about that. From the GPPA, I was told, "Thank you for your message. Financial disclosures from all faculty members are printed in the participant syllabus and included in the first slide of each speaker's presentation at the meeting. We have not received disclosures from all faculty at this point, which is why they are not published until the meeting. Is there a particular speaker you're wondering about? I'd be happy to share whatever information we have." I responded "Dr. Nemeroff," and never heard anything back. I wrote the University of Miami [twice] and finally got "Your question has been forwarded for response." I was tempted to sign up for the GPPA and going to hear him just to see if he'll actually do it again, to see if "Promises" are the Atypical Antipsychotics in Depression, drugs made by companies that pay him. That's what he has done in the past. But pleasantly for me, there's a nice vacation already planned during that time, and frankly, sitting through one of Charley's talks again seems like a punishment for sins committed in some former lifetime. But whether he does it again or not, for the poster child for COI infractions [and worse] to be giving a CME with no COI disclosures is bad enough in its own right. I'm an old guy that lives in a log cabin in the Georgia Mountains, so my muckraking resources are limited. I've written about it on a blog I keep for friends. That's the extent of my power these days. So I'm passing it on to you for whatever use it might be, or to pass on yourself if you can think of anyone else who might be interested. 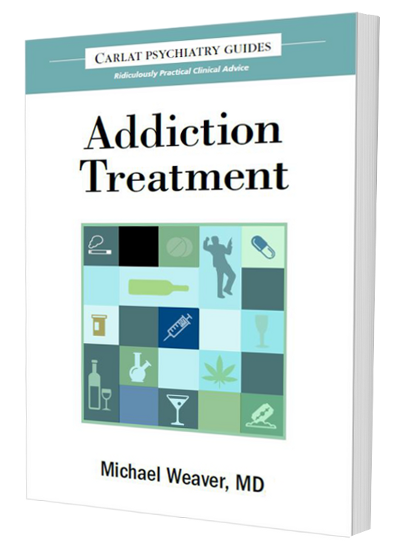 I've already written Dr. Carroll of HealthCare Renewal and Evelyn Pringle who is doing a series on this topic. I appreciate the work you and PharmedOut are doing on this front, and wish you well in your attempts to do something about the PHARM invasion. In my specialty, that invasion has been particularly virulent, maybe fatal. As originally reported in a New York Times article last week, with more coverage today in Med Page Today, the University of Michigan School of Medicine has decided to end all industry support of CME as of January 1, 2011. According to the dean of the medical school, "the decision was based on a review of literature about the influence on clinical faculty of industry-funded CME." Apparently the decision was made after a series of "town hall meetings" at the university and after the Chairs of the academic departments voted to end commercial CME. Meanwhile, Stanford University is trying to distance itself from industry influence on CME, but is having a hard time giving up its addiction to the cash. While the dean had announced in August of 2008 that Stanford would no longer allow companies to sponsor specific courses, recently the University accepted a $3 million block grant from Pfizer for CME initiatives that would focus in certain specific areas of medicine, areas in which Pfizer markets pharmaceuticals. Presumably, Pfizer will have no influence on the content of the courses, but this is a line we have heard many time before, generally from for-profit Medical Education Communication Companies. Unfortunately, the firewall between the drug companies' promotional agendas and the educators' offerings inevitably thins out, especially when it dawns on the grantees that if the sponsors doesn't like the content of the courses, they'll find someone else to fund the next time granting decisions are made. As if to emphasize this economic reality, the Pfizer grant is actually structured as sequential one million dollar grants to be spread out over three years, presumably with the option of reassessment before the next payment is made. You can read details of the Stanford grant in their proposal to Pfizer here. Carlat cynicism aside, it is commendable that Michigan has taken this courageous and principled step, and let us hope that other universities take note. The second article, by Sismondo and Doucet at Queens University in Ontario, describes the insidious process known as "ghost management:"
"In this article, we present evidence that pharmaceutical companies engage in the ghost management of the scientific literature, by controlling or shaping several crucial steps in the research, writing, and publication of scientific articles. Ghost management allows the pharmaceutical industry to shape the literature in ways that serve its interests." "Given the amount of litigation against the pharmaceutical industry in recent years, some of which has resulted in record-breaking penalties, it is surprising that no litigation has been directed towards medical writers, medical communications agencies, or the physicians who sign their names to ghosted articles. Maybe this is because these players are seen as mere instruments in a much larger marketing enterprise, or maybe it is simply that their pockets are not as deep. But if a few high-profile lawsuits were successfully aimed in their direction, it is a good bet that the practice of ghostwriting would come to a sudden halt." One truism of professional life is that some favors, no matter how alluring, should be politely turned down. The trick is predicting which bestowers of favors spell D-A-N-G-E-R, and which do not. 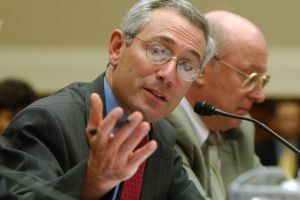 Unfortunately, it looks like Dr. Tom Insel, the director of the National Institute of Mental Health, made the mistake of accepting multiple favors from Charles Nemeroff, and he is now paying the price. Several media outlets have covered this developing saga, or scandal, or Greek tragedy (following the analogy of the Trojan horse, the most famous examples of bad judgment in gift-accepting). The best and most thorough coverage is in this article in The Chronicle of Higher Education, which broke the story. Also, see today's coverage in the Washington Post, and ongoing coverage in Health Care Renewal. Here's the digest of key events. Charles Nemeroff is a psychiatrist and researcher who makes friends easily, gives great talks, and exudes charisma and power. He's probably a genius and has an encyclopedic knowledge of neuroscience. Unfortunately, he has shown repeatedly that he is willing to bend institutional rules and play loose with the truth in order to accomplish his various financial and professional objectives. His self-imposed trials and tribulations are well known to readers of this blog. --2002: Nemeroff co-authored a review article saying wonderful things about an investigational antidepressant, mifepristone, without disclosing that he had a significant financial stake in the product. Nemeroff said that he would have disclosed the conflict of interest if the journal had only asked him to: "If there is a fault here, it is with the journal's policy." (see this coverage in the New York Times). --2006: Nemeroff co-authored a positive review article about vagus nerve stimulation. The Wall Street Journal soon reported that Nemeroff neglected to disclose his significant financial relationships with Cyberonics (the maker of VNS), and that the article itself was possibly ghost-written by a medical writer hired by Cyberonics. This time, Nemeroff could not convincingly blame the journal, because he was the journal's editor-in-chief! He was soon forced to quit the post. (See my article covering the debacle here). --2007: Nemeroff co-authored an industry-funded CME supplement to the journal CNS Spectrums which his "co-author" Linsey Devane called "ridiculous" and "inaccurate," and he claimed that Nemeroff had encouraged him to be involved "for the sake of selling CME time." (See my coverage here). Eventually, the ACCME determined that the article violated its Standards for Commercial Support because it was biased in favor of the Bristol-Myers Squibb's drug EMSAM. --2008: Both the New York Times and the Wall Street Journal simultaneously broke the story that Nemeroff had consistently failed to disclose payments from GlaxoSmithKline for promotional talks, even while he was in charge of an NIH grant studying the company's drugs. This led to Nemeroff's resigning his chairmanship of the Emory University Department of Psychiatry. Given Nemeroff's track record, I am surprised that Tom Insel agreed to endorse his standing with the NIH to Dr. Goldschmidt, the dean of University of Miami's medical school. The proper thing would have been for Insel to politely decline to discuss Nemeroff at all. In today's Washington Post, Insel is backtracking, saying that "I didn't recommend him" for the Florida job. But Goldschmidt's recollection of the phone conversation was that Dr. Insel "confirmed to me that Charlie was absolutely in fine standing" with the NIH, according to the Chronicle for Higher Education. What a mess for Insel, for the University of Miami, for the NIH, and once again, for Charles Nemeroff. Now Senator Grassley is involved and is requesting all relevant information concerning the relationship between Insel and Nemeroff. Presumably, Insel's lapse of judgment in this matter was a result of his long-time friend "Charley" calling in favors--but exactly what those favors are will be determined once the documents are released. File this under: "To be continued...."
This is a brief note to respond to some understandable misinterpretations of both my New York Times Magazine article and my book, Unhinged. My psychotherapy training at Mass General Hospital was excellent. As two young faculty members wrote in a recent letter to the Times in response to my article, MGH's psychiatry residency includes "three years of intensive, individual supervision in psychotherapy." That was true in the early 1990s as well. I saw a lot of therapy patients and received great supervision from such skilled psychiatrists/psychotherapists as Robert Abernathy, Paul Hamburg, Chris Gordon, and many others. Not to mention superlative psychopharmacology supervision from such consummate clinicians as Andrew Nierenberg and Carey Gross. I also agree with Drs. Roffman and Levy (the authors of the Times letter) that psychiatry residencies throughout the country are doing a great job of ensuring that psychotherapy training remains a central part of the programs. For many years, the American Board of Psychiatry and Neurology has published a list of "core competencies" required of psychiatrists. These have always included psychotherapy. According to the latest version, all psychiatrists should be able to "conduct a range of individual, group, and family therapies using standard, accepted models, and to integrate these psychotherapies in multi-modal treatment, including biological and sociocultural interventions." 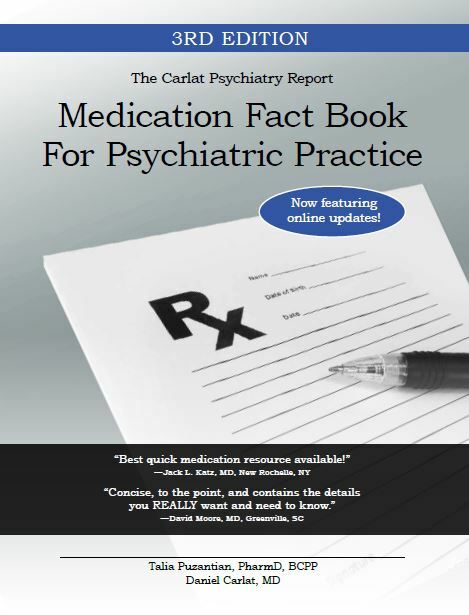 Furthermore, in 2001, the Council in charge of all graduate medical education (the ACGME) instituted a specific requirement that all psychiatric residencies teach cognitive behavioral therapy, and by 2006, 90% of residencies had complied. And yet, notwithstanding these laudable intentions and curricular changes, psychotherapy by psychiatrists declined sharply from 1997 (when 44% of all psychiatry visits included psychotherapy) to 2005 (when only 29% of such visits included therapy.) This is because great training during residency is necessary but not sufficient to bring therapy back to psychiatry. Once residents graduate, they have loans to pay off and they follow the money, and the money is found in short medication visits. And as with any complex skill, becoming an excellent therapist requires years and years of practice, most of it after residency. One can always blame insurance companies for this state of affairs, but insurance companies reimburse more highly for med visits not because they are out to degrade mental health treatment, but because they believe they get more bang for the buck with meds. Based on the typical 6 to 8 week clinical trials, medications work as well as therapy for most conditions, and better for some. But studies are increasingly showing that--at least for non-psychotic disorders-- specific therapies work better than medication at preventing relapse over one or two years of follow up (see this study, for example). Good studies of therapy are hard to find, because drug companies are rarely willing to fund them. But I predict that as the evidence base for the long term efficacy of therapy expands, insurance reimbursement rates will improve as well. In the meantime, however, my crystal ball reveals no impending great shift among psychiatry graduates toward therapy, no matter how many therapy supervisors residents are exposed to. 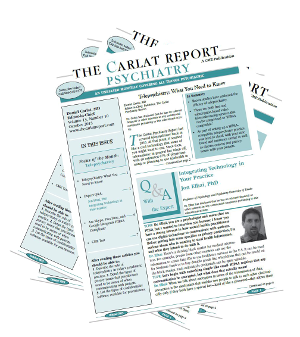 Bottom line: Psychiatry residencies do what they can to teach therapy skills, but the dominant culture among practicing psychiatrists remains medication-based, for a number of interwoven reasons including pharmaceutical marketing, insurance reimbursements, and the desire to be as "biomedical" as other doctors. I enjoyed Chicago journalist Martha Rosenberg's take on the APA meeting in New Orleans, which you can read at Scoop Independent News. Although Rosenberg is obviously a partisan, her coverage is entertaining and brimming with telling little details. For example, she found it ironic that after all of the damning press on Charles Nemeroff's undisclosed conflicts of interests with pharmaceutical companies (which led him to resign his chairmanship at Emory), where should he show up? In the same hallowed location where Mina Dulcan became apoplectic toward me--namely, the book-signing dias at the American Psychiatric Press. To quote Rosenberg: "Nemeroff was signing the Textbook of Psychopharmacology which he co-edited with Schatzberg, also investigated by Congress. Schatzberg, psychiatry chairman at Stanford, consults to seven drug companies, owns stock and patents with others and is on Sanofi-Aventis' Speakers Bureau according to the meeting's Daily Bulletin." By the way, there is an interesting back story on Dr. Schatzberg. The official meeting's program book begins with a fat disclosure section, listing all of the speakers who have financial relationships with industry. The next, far thinner section, lists speakers who have no such relationships. Inexplicably, Dr. Schatzberg's name is listed in the weight watcher's section. An anonymous tipster emailed me this glaring error, and I immediately called the press office for an explanation. The friendly staff member only had to hear me introduce myself before she interjected, "Hi Dr. Carlat. Are you calling about Dr. Schatzberg?" "Uhh, yes I am." "The correction is printed in today's meeting bulletin." Apparently several other Schatzberg-watchers beat me to the punch. Or maybe the doctor himself noted the error and corrected it? I'm going out on a limb and saying that I imagine that the APA's beleaguered press staff is not unhappy that Dr. Schatzberg is the OUTgoing APA president. But that's just a guess.